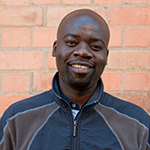 Mudzunga joined the DHS in July 2013 as a Research Technician. He holds a BA (Hons) degree in archaeology and is currently registered for a Masters in archaeology at the University of the Witwatersrand. His Masters research focuses on the historical development of the museum’s archaeological archive. His role as Collections Technician is to manage the department’s collections, including the accessioning of new acquisitions, maintaining good conservation practice and facilitation of internal and external loans.